© Larry French/Getty Images for SiriusXM Cameron Kasky is shown at SiriusXM Studio in Washington on March 23. On Saturday, a survivor of the Parkland, Fla., school shooting slammed President Trump for speaking at the National Rifle Association the prior day by calling him a "professional liar." 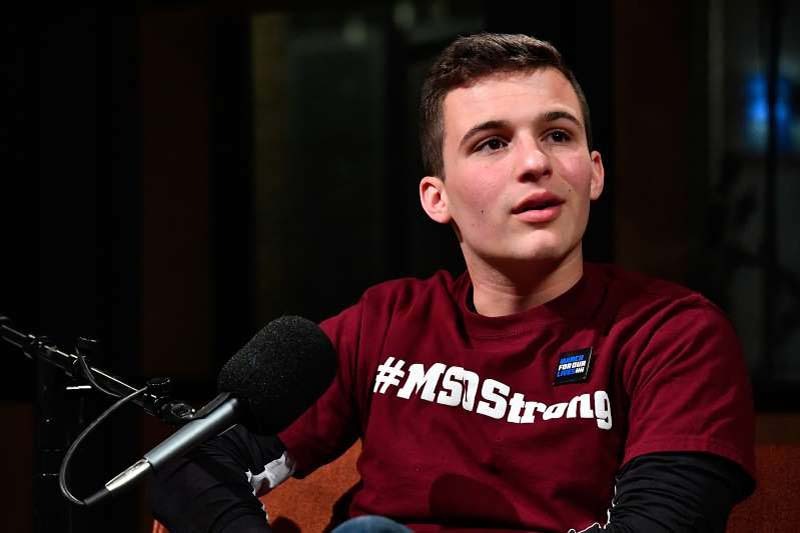 Cameron Kasky, a student at Marjory Stoneman Douglas High School, made the comments in an appearance on CNN's "New Day." "He's a professional liar who will say anything to appease whatever crowd he's at," Kasky said. "If he's in front of families he might say something in support of common-sense gun reform, but then when he's at the NRA he'll say something to get a big cheer." Trump spoke at the NRA meeting for the third year in a row on Friday, delivering an impassioned defense of the Second Amendment and praising the NRA as a "great organization." In the weeks following the Parkland shooting, Trump suggested that he would be open to action on gun control and taking on the NRA, and even criticized a GOP lawmaker for being "afraid" of the gun-rights lobby. Kasky on Saturday also elaborated on a tweet he posted earlier this week mocking the NRA over the Secret Service's decision to ban firearms during Trump and Vice President Mike Pence's speeches at the meeting. "You'd think that if someone supported the NRA, they'd want as many 'good guys with guns' in the room as possible, right?" Kasky said. "The hypocrisy is so blatant here and they're just embracing it at this point." Pence used the phrase "good guys with guns" in his speech to the organization preceding Trump's, calling it the best deterrent to gun violence.